IOST, is an application-friendly, next-generation public blockchain infrastructure, helping decentralized app developers overcome some of the most challenging problems with mass adoption. Today it stands as the most scalable blockchain network ahead of Ethereum, EOS and Tron, solving the scalability trilemma, or having to exclusively select between security, scalability, and decentralization. Through a “Proof-of-Believability” consensus mechanism, IOST enables Dapps to build and deploy more meaningful services on its platform, helping more everyday users experience the mass benefits of blockchain services. IOST has a global presence, with offices in Beijing, Tokyo, Seoul, Berlin, San Francisco, New York and Singapore. It’s been one month since IOST, the application-friendly next-generation public blockchain network, became the first to launch an application-ready mainnet with multiple live decentralized applications (DApps). In the weeks since, IOST has shown tremendous success in growing its network of developers, partners, and users. On 6 April, the IOST network surpassed a new record, processing more transactions (580,231) than the whole Ethereum network (558,272) within a day. IOST has also processed more than 25 million transactions 1 month since it’s mainnet launch. These figures clock in a rate of growth that outstrips even the leading blockchain projects during their initial months post-mainnet. But, most importantly for this podcast host observing from the outside, we are finally beginning to see adoption and the thawing of crypto winter. This week, IOST also partnered with Ehang, a China-based autonomous vehicle company, to provide flight data analytics in a new project for the Civil Aviation Administration of China (CAAC). The project utilizes blockchain technology to deliver secure and reliable data to prevent data tampering by third parties. 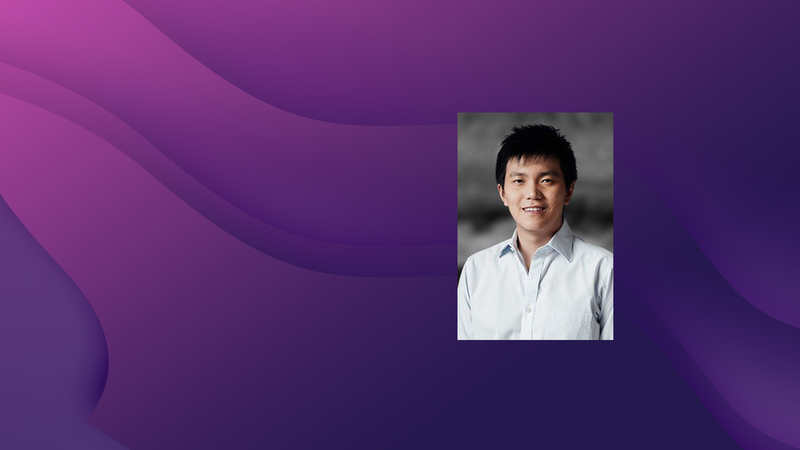 Jimmy Zhong, Co-Founder at IOST joins me on my daily tech podcast to tell me all about the progress they have been making and the road ahead for IOST. Jimmy is also a proud entrepreneur, geek & developer who is insanely passionate about startups and creating new things. Founder & CTO at Studypool (500 startups batch 11), an online academic platform that assists students to get help with their academic questions. Want to explore the world of Crypto? Check out my other interviews with blockchain leaders.